Mesa, AZ – June 3, 2008 – DiamondWare announced today that its high-definition 3D positional voice technology now includes Screaming Bee’s voice changing engine. This technology, found in Screaming Bee’s flagship product MorphVOX, lets people change their voice to make them sound younger or older, or the opposite gender, or a fantasy creature like a demon lord. DiamondWare can now offer its customers the many voices found in MorphVOX using the same clean XML interface. Voice morphing is important to a variety of people for different reasons. In fantasy and science fiction games, it helps people sound like their often non-human character. For young people and many females, they want to be more anonymous or attract less attention. And for many adult role-players, there is an attraction to playing a character of the opposite gender. The technology by Screaming Bee lets people do all of these things. DiamondWare provides best-of-breed real time voice technology with ground-breaking 3D positioning and high-definition quality. Applications include games, simulators, conferencing, VoIP, and radio over IP. Customers include DARPA, the US Special Forces, Navy, Air Force, as well as game developers, carriers, and equipment manufacturers. DiamondWare has received acclaim and recognition from numerous organizations, including TMC Labs Innovation Award, Best of Show at Internet Telephony, Product of the Year from Communications Convergence magazine, and has been on the Pulver 100 list since 2004. The company holds many patents. 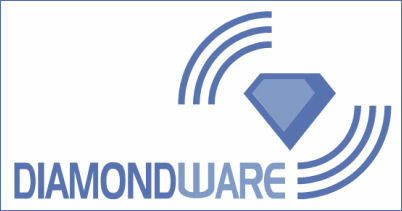 Founded in 1994, DiamondWare is headquartered in Mesa, Arizona. More information is available at www.dw.com. Screaming Bee is a leading provider of voice software and solutions for online games, VoIP and multimedia applications. Screaming Bee's high-quality voice morphing technology is used in online games. Gamers can now have voices to match their in-game characters. The flagship product, MorphVOX Pro, allows studios to save time and potentially thousands of dollars by creating multiple voices from existing stock audio or a single voice talent. MorphVOX Pro is used by professionals in a number of fields, including education, radio broadcasting, and animation. For more information, please visit www.screamingbee.com.